A chatbot is a program that allows you to interact with your users in an almost seamless manner. Think of it as a one-time investment of your time and efforts to create an automated answering machine that …..well… actually answers queries. 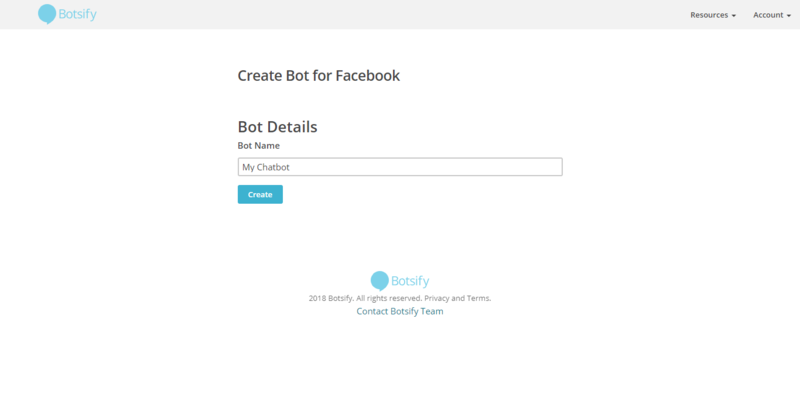 Botsify allows you to create a chatbot for your Facebook page without any coding skills. 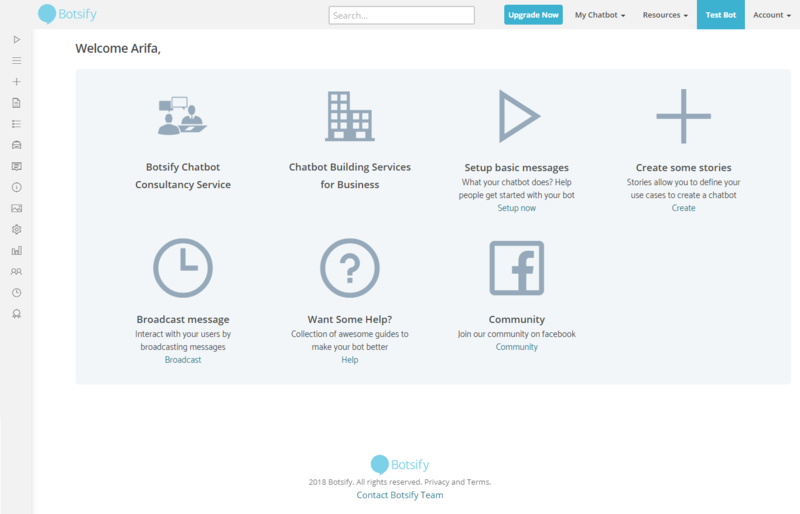 This article will guide you through the process of creating a simple chatbot using Botsify. 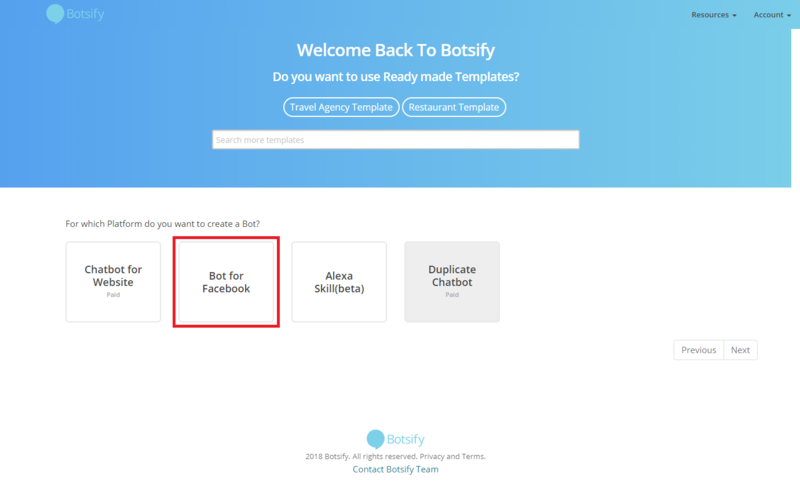 Log on to botsify.com and click on the “Sign Up” link. You will be redirected towards the sign up page. You can either sign up using Facebook or sign up using your email. In this case we'll be signing up with Facebook. Enter your login details to access your Facebook account. NOTE: You will not see the sign in page if you are already signed-in to Facebook. 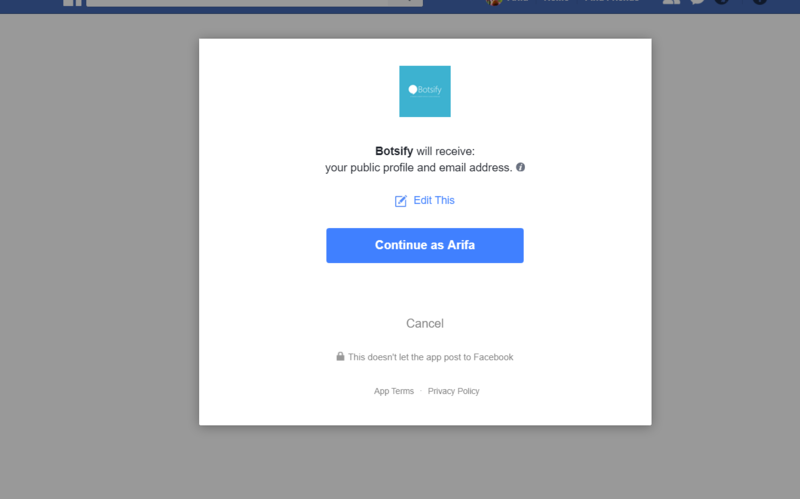 Click on the “Continue as…” button to allow Botsify to receive your basic information. 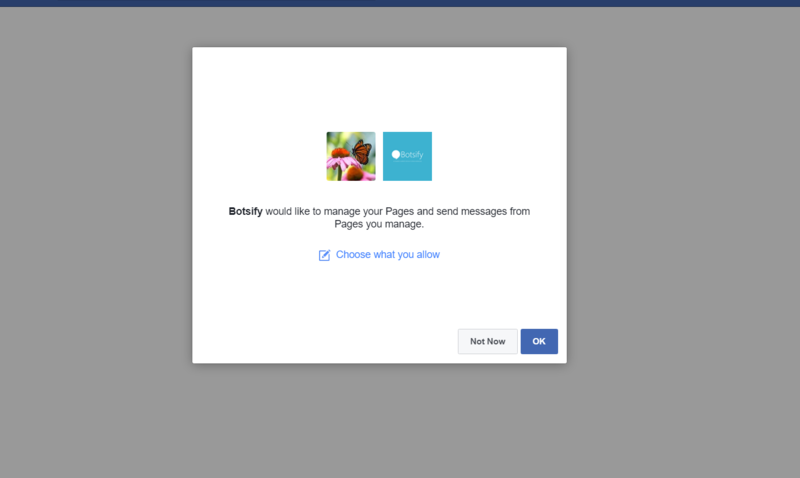 Don’t worry, Botsify does not access any of your private details and you can control what information you give to it. Click on “OK” to proceed and you will land on the Botsify dashboard. Click on the “Bot for Facebook” to get started. You will now get a dialogue box asking you to name your chatbot. Let’s name it, "My Chatbot". You can now connect your pages via the page in front of you or do it manually. Click on “Connect” in front of the corresponding page that you want to place the chatbot on to connect the page and the chatbot automatically. You will see the “Connect” change to “Connected” then, click on “Let’s Start” to continue. If you want to do this manually then please refer to the second method, though following the current method is recommended. Voila! 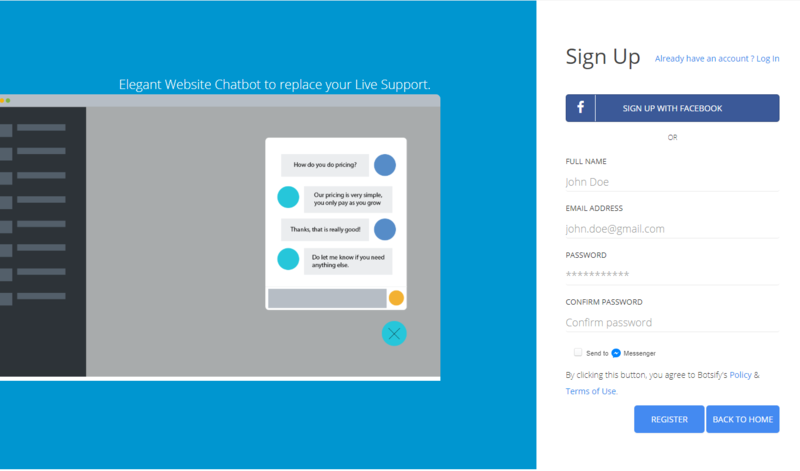 You have successfully created and connected a chatbot to your Facebook Page.